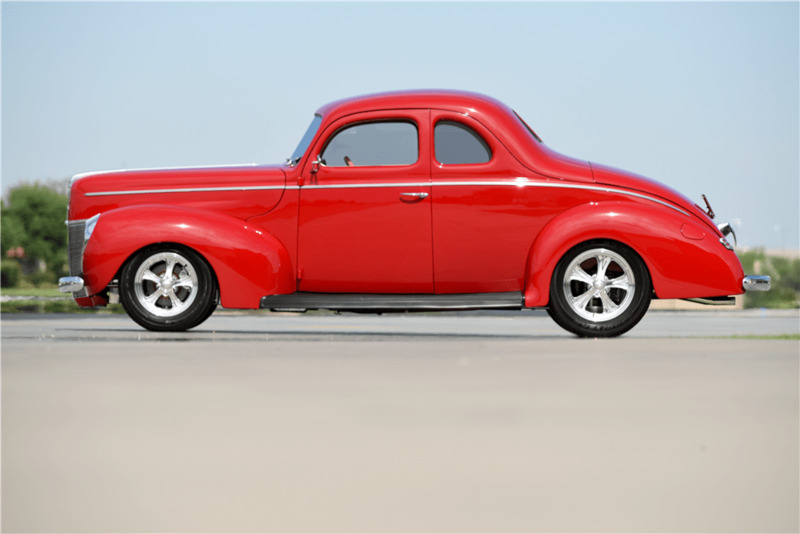 This customized 1940 Ford Deluxe Coupe started as an original all-steel ’40 Ford Deluxe. 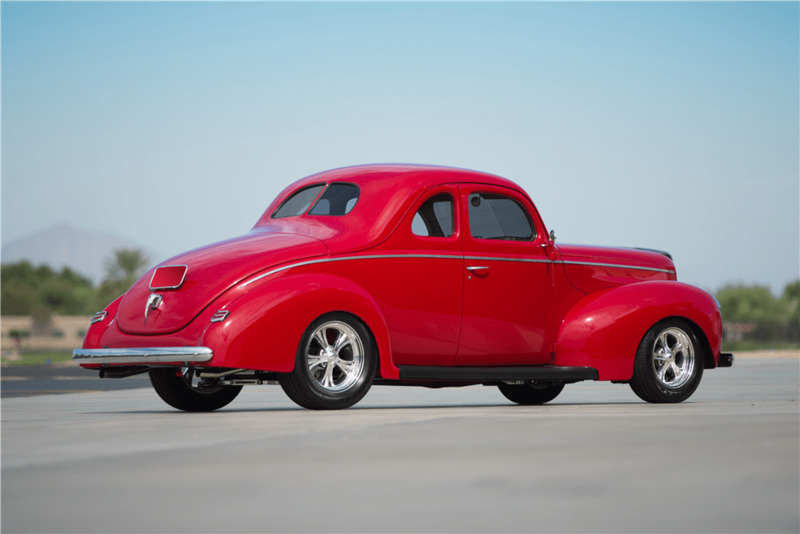 Then Jerry Kugel took over and added his custom suspension, and LS2 motor with custom paint and graphics, and slipped in a 4L60E automatic transmission. Gabe Lopez of Gabe’s Custom Interiors created the interior. Additional comforts of power steering, power windows, all 4-wheel power disc brakes, air conditioning and heat. This car has break-in miles only.